What is Applied Physics? It is an interface between science and technology. Building a sustainable society requires resource and energy saving technology and environment-friendly technology. Novel technology and materials may be brought forth by performing scientific study based on physics for phenomena and materials in micro- and nano-meter scale. On the other hand, recent advanced technology such as nano-technology serves as the driving force to pioneer new fields of science. 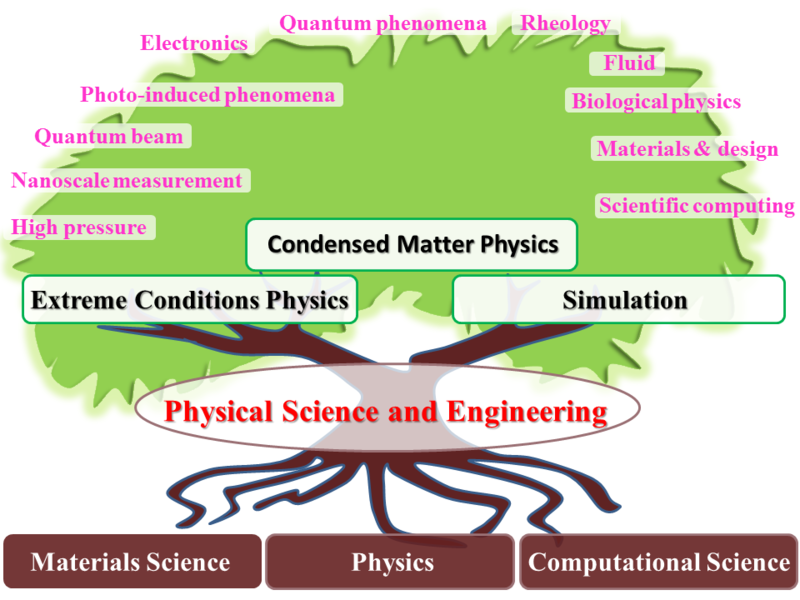 The applied physics brings the collaboration between science and technology into reality in an advanced way, and plays a role of an interface between science and technology, which makes the scientific progress, such as discovery of new principles, fabrication of novel materials and development of high performance computing, useful technologies for the sustainable society. What do you study? We aim to cultivate leading scientists and engineers with wide perspective, deep thinking, and global communication ability. Physics is the basis of the science and technology as well as mathematics. In Applied Physics Course, students in the second and third grades study the basics of physics and mathematics, mechanics, electromagnetism, quantum physics, statistical physics and so on. After working up the basics, students may start an adventure to the world of nano-materials and information, that is, students in the final year join one of the research groups in the field of Applied Physics for research project of their graduation theses. In the study, students brush up their communication and presentation ability by fruitful discussion with supervisors and older members of the group. After finishing the course, you will be engineers in companies or enter the graduate courses of Applied Physics and Materials Physics. All Rights Reserved, Copyright© 2012-, Department of Physical Science and Engineering, Nagoya University.